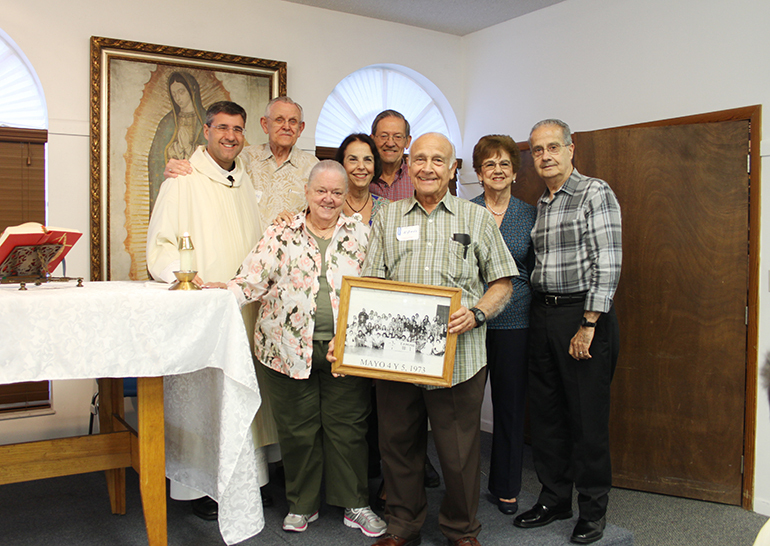 Some of the founding couples attended the closing Mass for Camino’s 45th anniversary. In the picture, Father Manny Alvarez, pastor of Immaculate Conception Church in Hialeah; Pedro (Papucho) Peláez; Conchita and Carlos Aguilar; Emilita and Rene Melian. Front, Martha (Mamucha) Peláez and Alfredo Jacomino, who held the photograph taken when the first Camino was taken, on May 4-5, 1973. Oliver and Nancy Castellanos dance during their presentation "Together Forever", they talk about their marriage’s experiences to young couples who attended Camino, May 5-6, at SEPI, the Southeast Pastoral Institute in Miami. Jorge and Estrella Alvarez have been Camino's volunteers for 30 years. Jorge says his work in the premarital program has also strengthened his marriage. “Stories of love and suffering; how they managed to get up and move on and how to have a nice marriage, that impressed us a lot,” said Fazzarella, a native of Brazil. He and his fiancée took part the weekend of May 5-6 in the 861st Camino del Matrimonio (way of marriage) retreat, which marked the 45th anniversary of the movement - a movement founded in Miami. “The story of Camino is a story of love,” said Father Manny Alvarez, pastor of Immaculate Conception Church in Hialeah, during the closing Mass of the Camino, which was attended by the couples making the retreat, their parents, and some of the movement’s founding couples. “Without Camino this love revolution wouldn’t exist. Without these pioneers I would not exist, my priesthood would not exist,” Father Alvarez said. He is the first son of “caminantes” to become a priest. The second one, Father Matthew Gomez, was ordained May 12. Camino exists “to help them have a marriage that will last for a lifetime, not until they get bored,” he added. 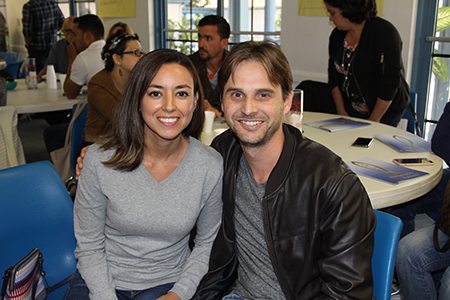 Angelica Rodríguez a native of Colombia and her boyfriend, Philip Fazzarella from Brazil, attended Camino on May 5-6, in few months they will be married in the Catholic Church in Colombia. Father Manny Alvarez, pastor of Immaculate Conception Church in Hialeah, during the closing Mass of Camino’s 45th anniversary, said he was the first priest son of walkers, his parents attended Camino’s retreat number 2. For 45 years, hundreds of couples who have gone through Camino have shared their experience of marriage with more than 25,000 young Hispanic couples preparing for marriage in the Church. The veterans help prepare the soon-to-be-wed for the realities of married life. After taking part in their own Camino, he and his wife, Estrella, have guided and helped subsequent couples by serving as facilitators at the work tables. He said being part of Camino has helped him in his own marriage and to believe more in the institution. According to Camino’s statistics, only four percent of the couples who take part in the retreat get divorced, compared to 25 percent of couples who don’t take part. “The main idea is for there not to be any divorces, that they get the message and are able to be happy,” said Pedro (Papucho) Pelaez, who along with his wife, Martha (Mamucha), were one of the founding couples of the program. Although statistics show that more and more young people in the U.S. are choosing not to marry, an average of 40 couples attend each Camino retreat, which takes place roughly once a month, Papucho said. The Pelaezes also started a sister program, Matrimonio 2000 (Marriage 2000), aimed at couples who have been married civilly for years but now want to get married in the Church. Matrimonio 2000 has served more than 3,000 couples since its inception in the year 2000. Camino’s two-day retreat -Saturday and Sunday- is one of two marriage preparation programs offered by the archdiocese to couples who are marrying for the first time. The other program, offered in English, is Transformed in Love. Attendance at one of them is required for anyone wishing to receive the sacrament of matrimony in the Archdiocese of Miami. Those making the Camino listen to talks about the psychology of marriage, the meaning of the sacraments, home finances, and natural family planning. Since 1989, the parents of the couples have been invited to talks aimed at them on Sunday afternoons. The weekend ends with everyone at Mass. Since its beginnings, revisions have been made to the topics that are discussed, but the biggest change has been the use of technology in the presentations. And at the request of Archbishop Thomas Wenski, a little over a year ago Camino began offering English-language retreats. Now, 18 Caminos take place each year, nine in Spanish and nine in English. 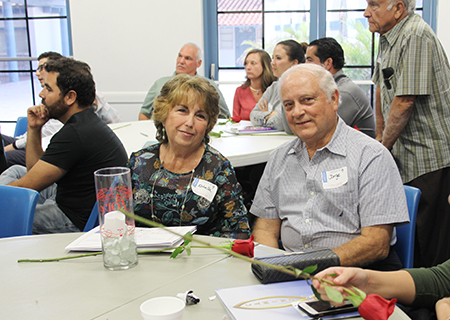 On May 5-6, the 861st Camino del Matrimonio (way of marriage) retreat was held, which marked the 45th anniversary of the movement, one of two marriage preparation programs offered by the archdiocese to couples who are marrying for the first time. The English Camino “is a translation from the Spanish,” said Papucho Pelaez. The talks are the same, they’re just aimed at couples who don’t speak Spanish. Among the many tips shared with couples: “First of all, respect is the most important thing, even if we want to kill each other. After that is the communication. Never stay quiet about something you don’t like. It must be said, it is very important,” said Emilita Melian, one of the founding couples along with her husband, Rene. “Camino gives couples the tools to have a happy marriage and has served as an apostolate for those who come to help voluntarily," said another founder, Alfredo Jacomino, 82, who lost his wife, Teresita, two years ago. They had been married 48 years. In these 45 years of Camino, “I think that the expectations have been exceeded. 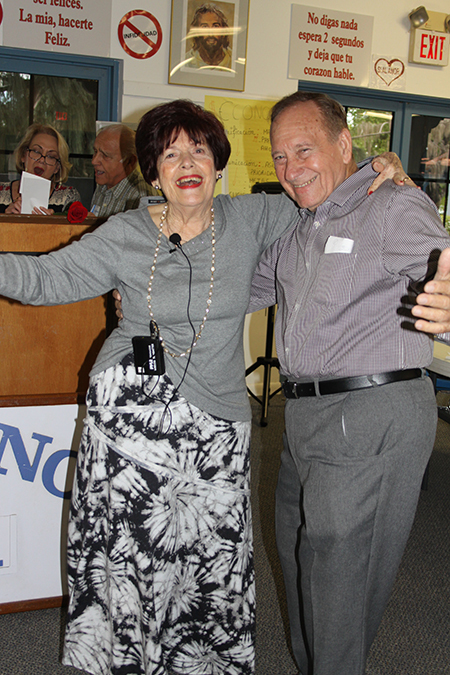 Today there are 48 couples that even came all the way from Broward,” said Jacomino of the attendance at the May weekend. 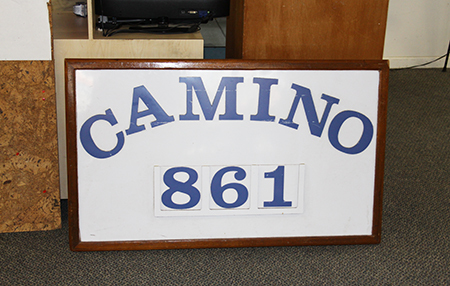 Camino came to be in 1973 when a local Catholic, Alfredo Jacomino, noticed many couples who were about to marry but had no idea what marriage was. Jacomino felt called to do something. He was already married and belonged to the Cursillo movement. At the time, the only marriage prep that existed in the archdiocese was a Pre-Cana course offered by the late Franciscan Father Angel Villaronga at St. John Bosco Church in Miami. But these were massive events for about 300 couples at a time. Jacomino wanted something more personalized, with work and study groups resembling those used in Cursillo. He shared his idea with a group of couples who were also Cursillistas from Sts. Peter and Paul Parish in Miami, and together with their priest, Father Jorge Gonzalez, and with support from Father Agustín Román- later Miami’s auxiliary bishop- they created Camino. After the firsts retreats, the program began to be known and the parishes began sending couples, which is the way it works to this day. 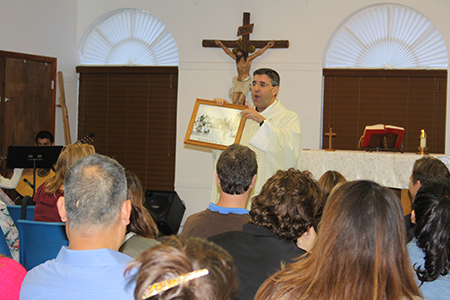 Camino retreats have taken place at various Miami locations, beginning with Sts. Peter and Paul Church, St. Mary Cathedral, St. John Vianney Seminary, and Our Lady of Perpetual Help Church in Opa Locka (which merged with St. James in 2009). For the last 10 years or so, the retreats have been held at SEPI, the Southeast Pastoral Institute in Miami. To find out more, including the dates of upcoming retreats, go to: www.caminodelmatrimonio.org.